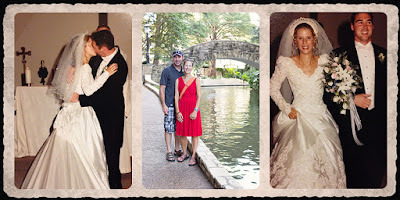 While on our vacation in Texas Brian and I celebrate seventeen years of marriage. It was fitting that we would celebrate at the beach. In August of 1997 we were engaged at the beach. I remember how Brian put the ring in a sock in his pocket as his shorts that had a hole in them. Fast forward seventeen years and we are once again on the beach this time with a family that is growing and changing. These last seventeen years have been filled with roads that run straight and roads that curve in the most unexpected places. We were just 22 and 24 when we got married. We had no idea at that time just how hard it really would be, how we really did have to compromise, and how it really feels to have unconditional love. 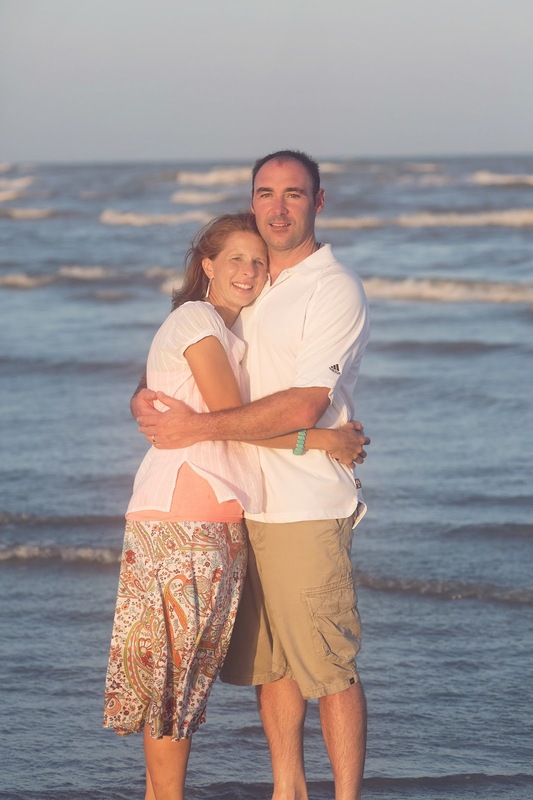 We didn't know what is really means to be a parent and at the same time try to continue to make our marriage work. I think we were blessed to not really "know" how hard it would be. I am always thankful for Brian and feel that he is truly the person who knows all of me. The part that is not so calm (ughh) and the part who has more crafts started than is really reasonable. He loves me for who I am and has learned to walk away when my Italian blood is making me not so reasonable. I love how we can still remember how to reconnect on activities we liked when we are younger as well as having new adventures. Of course some of these adventures are child driven as they push us to expand who we are. I am looking forward to where this marriage is headed. My heart is telling me changes are coming. Adding (oh hopefully please) another child to love to the mix and other changes on the horizon. I hope one day Brian and I are old together at the beach the place we love the most!